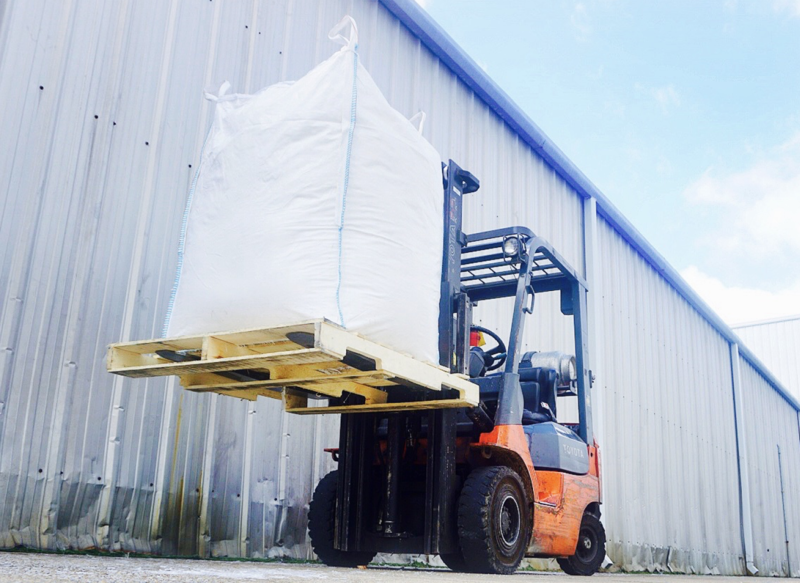 Lifting and transporting bulk bags is a serious undertaking that should always be done with the full knowledge of proper, safe methods based on the specific bag, contents, and equipment being used. Thus, the Flexible Intermediate Bulk Container Association (FIBCA) has developed the FIBC Safe Handling Guidelines. Therefore, considering the importance of this issue to our industry, we are highlighting some of the most common precautions to be taken when any bulk bag is lifted. The equipment has a rated capacity sufficient to support the filled FIBC. The forklift tines or crane hooks or bars do not have sharp edges or protrusions. Tines, hooks or bars must be of an adequate size with rounded edges at least the thickness of the lift loops or sleeves used to support the bag. All lift loops or sleeves are vertical without any twists, overlaps or knots to prevent damaging them. The bag is suspended according to the manufacturer’s instructions using all lift loops or sleeves provided. The bag is held close to the forklift’s mast and as low as possible, with the mast tilted back at an appropriate angle. FIBCs should never be dragged nor touched by forklift wheels. Any pallets used are of appropriate size and the bag does not overhang the sides. The forklift driver or crane/hoist operator has a clear line of sight before moving the FIBC and all personnel is safely clear of the area. For more information on the subject matter, please contact our Bag Experts at sales@alabag.com.